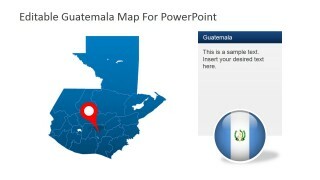 Editable Guatemala PowerPoint Map – Enlighten your audience with an informative presentation about the uniqueness of country Guatemala. 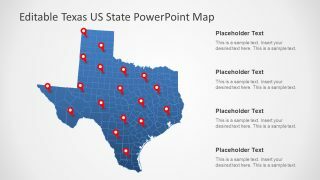 The template is designed to easily highlight features of the country using completely editable PowerPoint shapes. 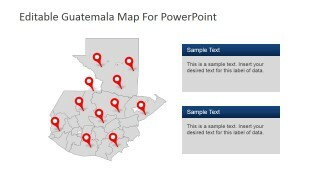 In this design, the entire map of Guatemala is made up of editable shapes that functions like a puzzle. 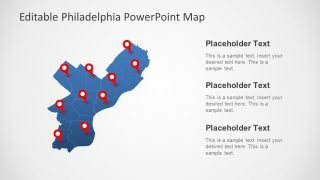 These shapes can be magnified and highlighted individually in separate slides. 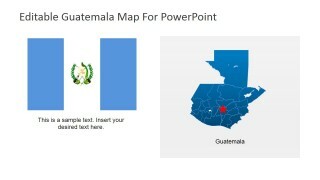 It can also be shrunk down to fit the whole map of Guatemala in a single page or presented along with optional texts, flags and other effects. 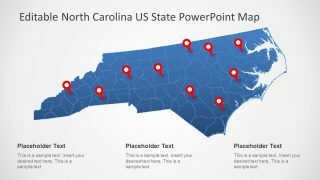 Aside from these features, the shapes can compliment any business themes by altering its color palette. Its professional patterns are perfect to suit any marketing styles of various companies. Best of all, this model is definitely reusable. 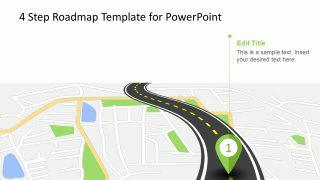 This PowerPoint template serves its purpose quite well on its own and can also enhance other PowerPoint Templates in our collection. 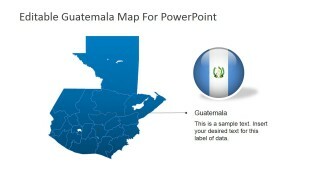 The country of Guatemala is located in Central America, surrounded by Mexico, Belize, Honduras and El Salvador. 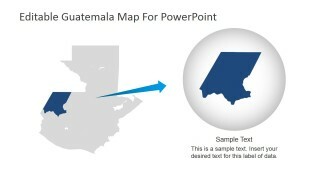 Both sides of Guatemala are coastal locations to the Pacific Ocean and Caribbean Sea. 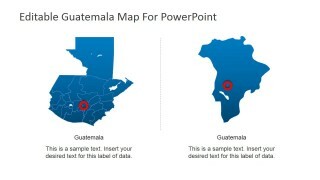 Guatemala is comparably smaller than its neighboring countries but it is rich in culture and diversity. 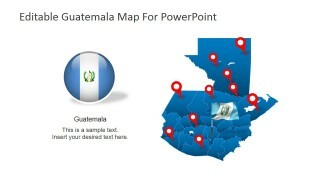 Its capital is the City of Guatemala, otherwise called as “Guate” by the locals. 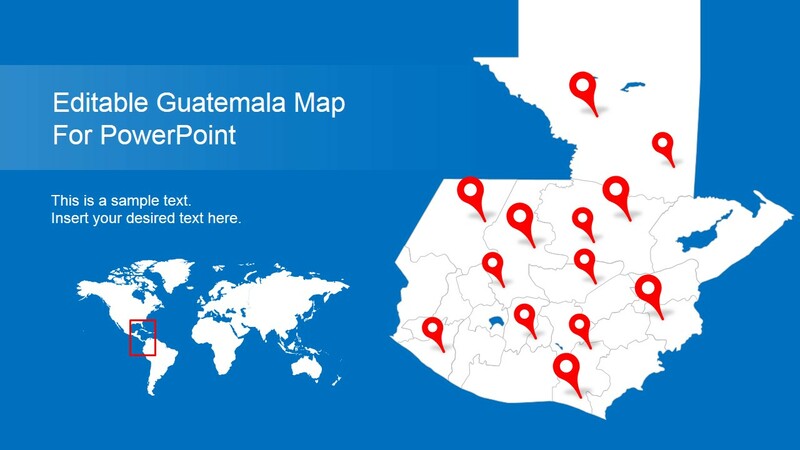 Guatemala is best known for its Mayan backgrounds and its capital city possesses numerous artifacts of this historic civilization. Tikal in the Peten region is the heart of the Mayan cities where tourists wander through its ancient cultural imprints. Another attraction of Guatemala is its adventures in a volcanic mountain range. There’s even the Pacaya Volcano close to Guatemala City where tourists can have a unique hiking experience in the volcano. 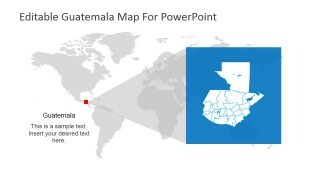 Tajamulco is the highest volcano in Central America and it’s located in Guatemala. In addition, one of the country’s border locations by Mexico is also through a volcano, the Tacana.